How will the new VAT rate affect the property sector? Where rents are invoiced in advance the tax point is the date you issue the VAT invoice or receive a payment, whichever comes first. If you invoice a tenant in December for rent spanning December to March, you can charge 17.5 percent on the total period of that rental. Where rents are invoices in arrears or more precisely, the invoice is issued on or after the 4th January 2011, you should charge the new 20 percent VAT rate on the entire invoice value. If the invoice includes a period which is prior to the VAT change date, then apportion the amount of VAT so rental periods prior to the 4th January 2011 are charged VAT at 17.5 percent. If you invoice a tenant before 4 January 2011, you should charge VAT at 17.5% on the entire rent. If you invoice a tenant after 4 January 2011, you should charge VAT at 20% - however, the tenant can ask for the vat to be apportioned for any rental period before the VAT change - especially if they cannot recover the VAT in full. These follow the same conditions as commercial rents for VAT. 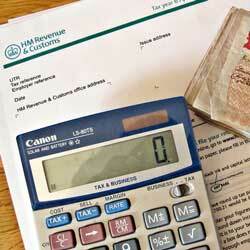 If you invoice in advance you can charge 17.5% - even if the service charge period spans the VAT rate change. If you invoice in arrears, you must charge the 20% VAT rate for any service period after 4 January 2011 - but can apportion the lower 17.5 percent VAT rate to any service period before the VAT change. Please double check these details with your accountant to make sure they apply to you before following them. 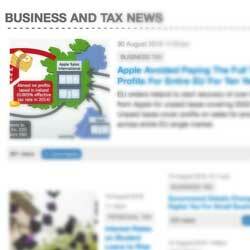 For more mortgage and property related news, visit the mortgage calculator website.